Do you want granite countertops but simply can’t afford them or don’t want to exhaust your budget? Granite is very trendy but can often be cost or time prohibitive. Installing new granite countertops can become a huge hassle and there is little room for error when matching slabs together to ensure a consistent look. Miracle Method’s Natural Accents® provide a consistent, luxurious stone-look appearance resembling beautiful granite countertops at a fraction of the cost and can be used for countertops, vanities and ceramic tile. 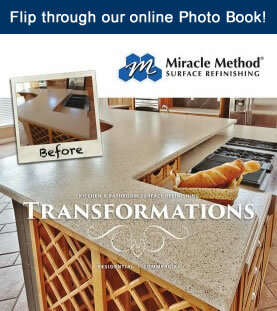 Take a look at these beautiful countertop transformations using Miracle Method’s Natural Accents refinishing process. It just may leave you questioning why you were going to spend that much on granite in the first place. 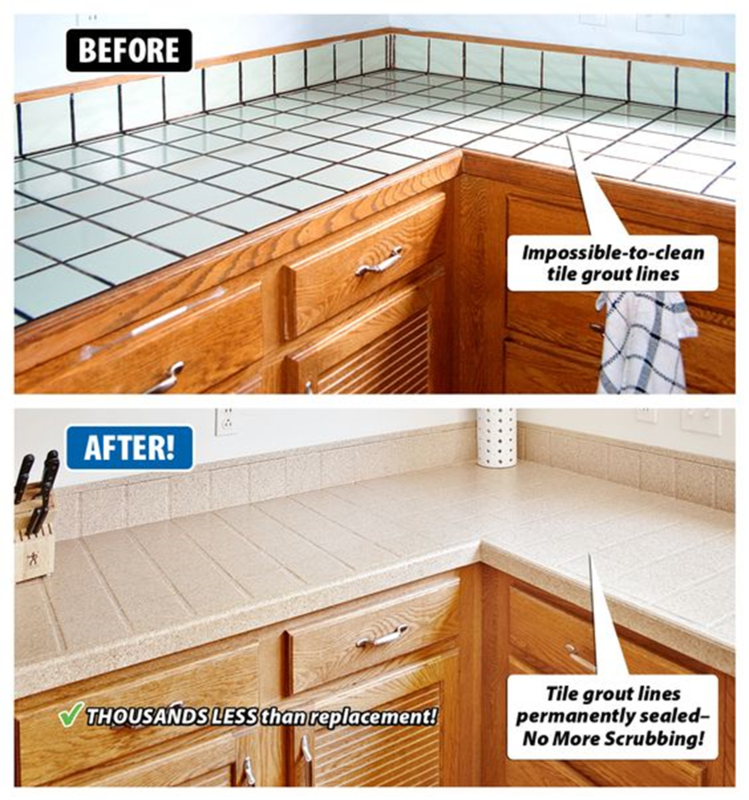 Countertop refinishing is a process of repairing and restoring an existing kitchen counter or bathroom vanity to extend its functional life, without replacement. Save money, time and effort with Miracle Method’s Natural Accents collection. Specially formulated coatings provide a look and feel that give you a beautiful, long lasting finish without the cost or maintenance. A warm, consistent contrast of a stone, multicolor blend that not only looks luxurious, but costs up to 75% less than granite countertops. When selecting a remodeling option for your kitchen countertops, quality matters. A five-year warranty protects your countertops from failure of adhesion. 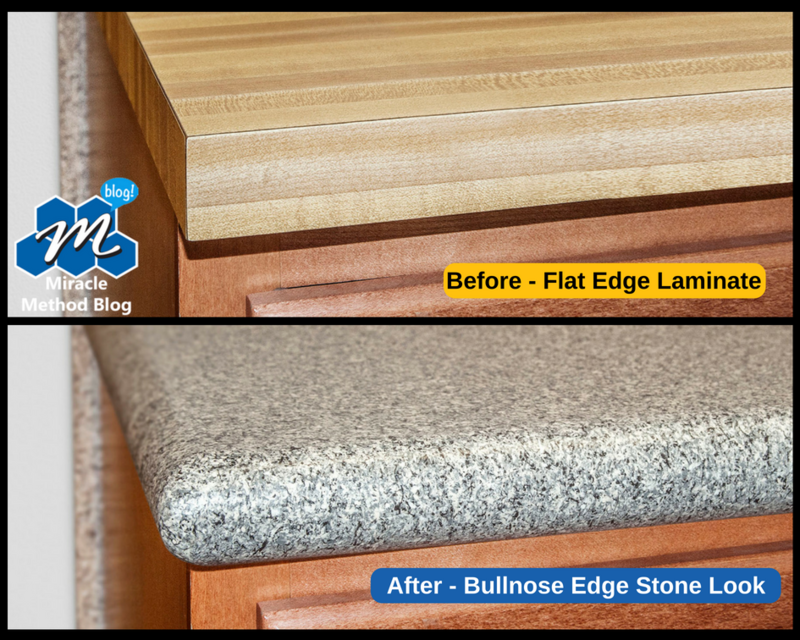 A countertop refinished by Miracle Method will last 15+ years with proper care and maintenance. Natural Accents is an affordable alternative to granite countertops and will allow you to love your kitchen again. Use our virtual color tool to view Natural Accents in a variety of kitchen cabinet styles. To learn how Natural Accents can beautifully transform bathtubs, showers, countertops and more, call 855-212-7337 to speak with your local Miracle Method franchise.